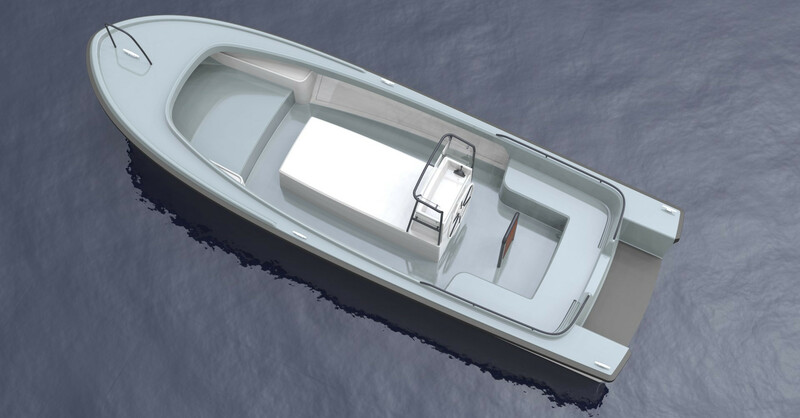 The design brief for Nautus 7-50 was to create a no-nonsense, rugged, capable open boat for transport, fishing and leisure. 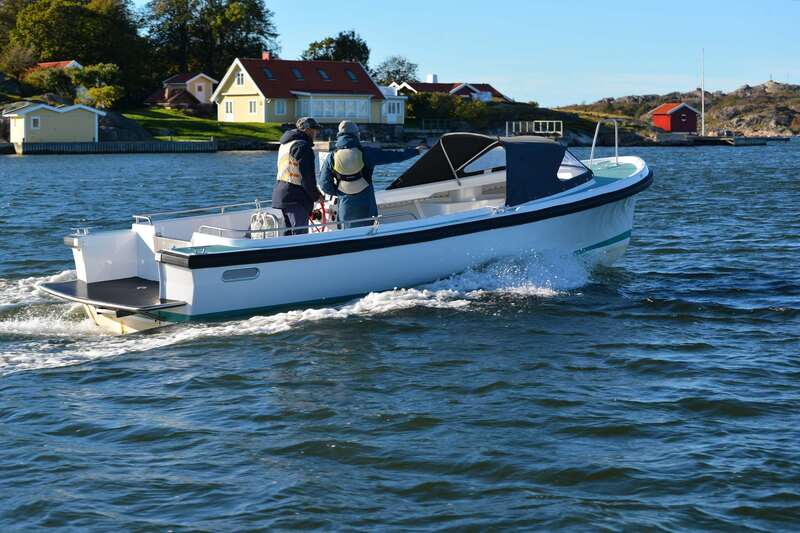 The owners of Nautus are well experienced boatmen with an eye for practical details and a clear list of specifications. There was no boat on the market that could offer what they wanted. It needed to be fast enough. 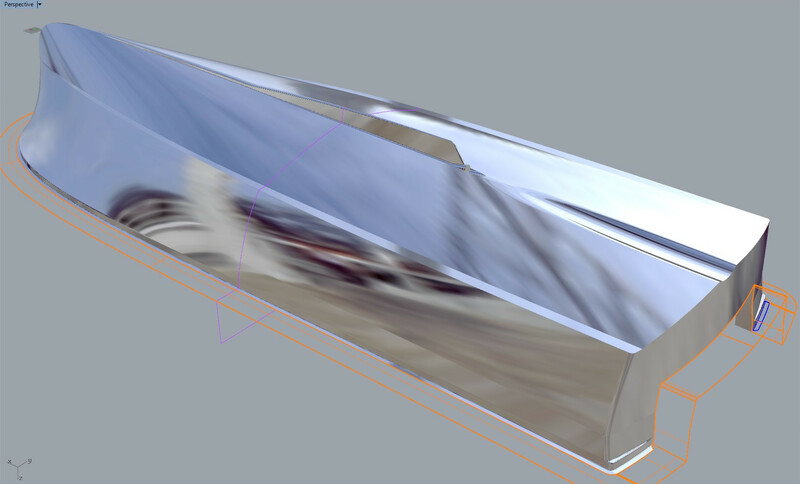 The hull shape should enable it to go effortlessly with an inboard diesel of limited power and a straight propeller shaft. 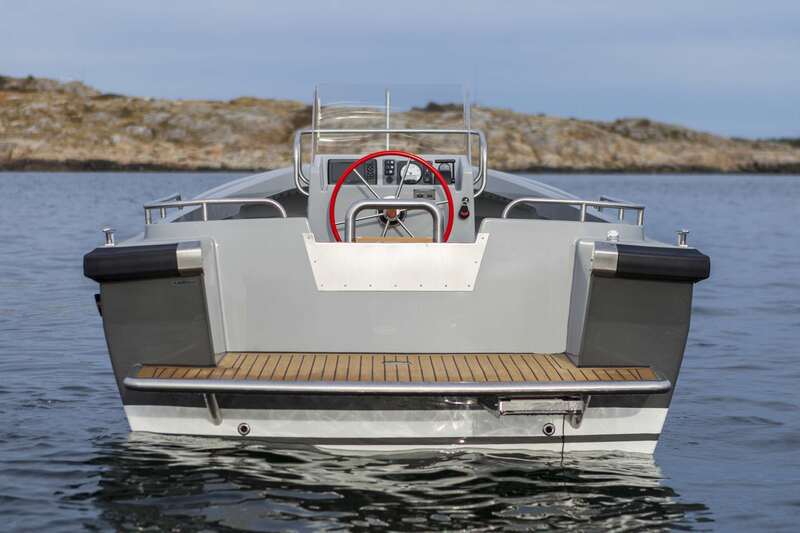 It had to be simple and reliable for hot summer days, and for hard winter conditions – both owners of Nautus live on islands outside Gothenburg, on the west coast of Sweden. 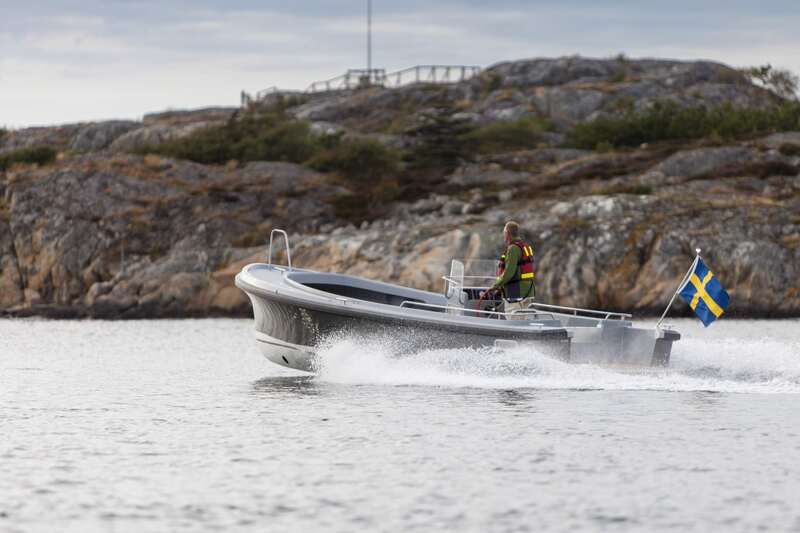 The new Nautus 7-50 had to offer a comfortable, silent, smooth motion, without slamming – even at high speed and in choppy waters. It had to be an attractive leisure boat. Safe and inviting, with room for picnic baskets and children. 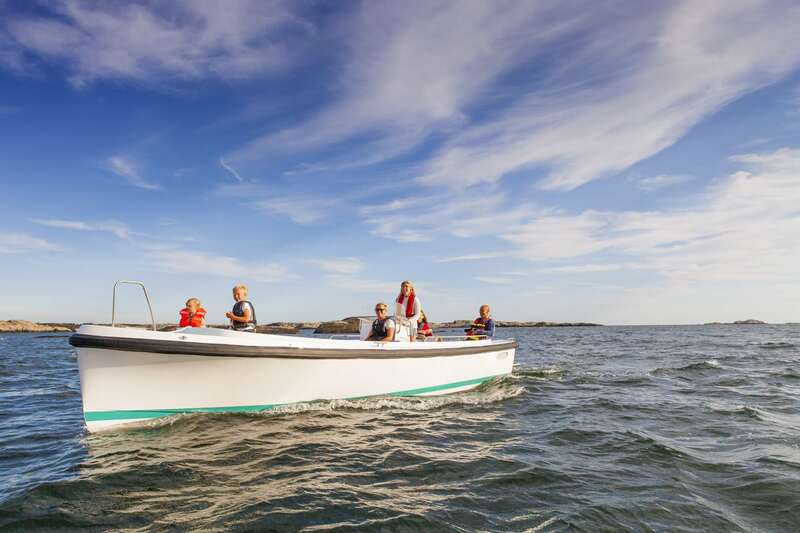 A big U-shaped sofa for gathering with family and friends, a swimming platform aft, a sunbed on the centreline, a canvas dodger for protection during a trip to the outer skerries. 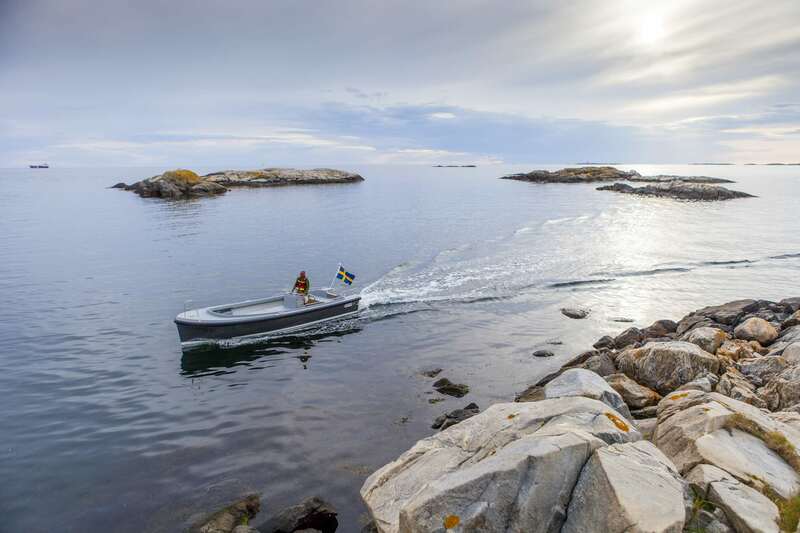 At the same time, the emphasis was on making a sturdy workboat, a boat which takes care of the people on board, with space and capacity for carrying big loads between town and the island home, or lobster fishing in the autumn. A robust rubber fender running along the edge. 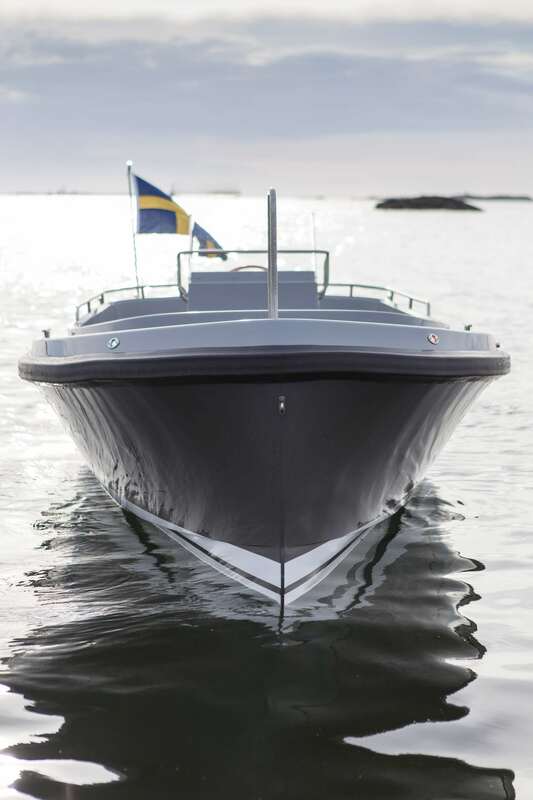 Apart from this, no frills, no gimmicks – nothing but the best possible powerboat for its intended purposes. For most people, going in a powerboat at planing speeds of, say, 25-30 knots is a nervous experience. 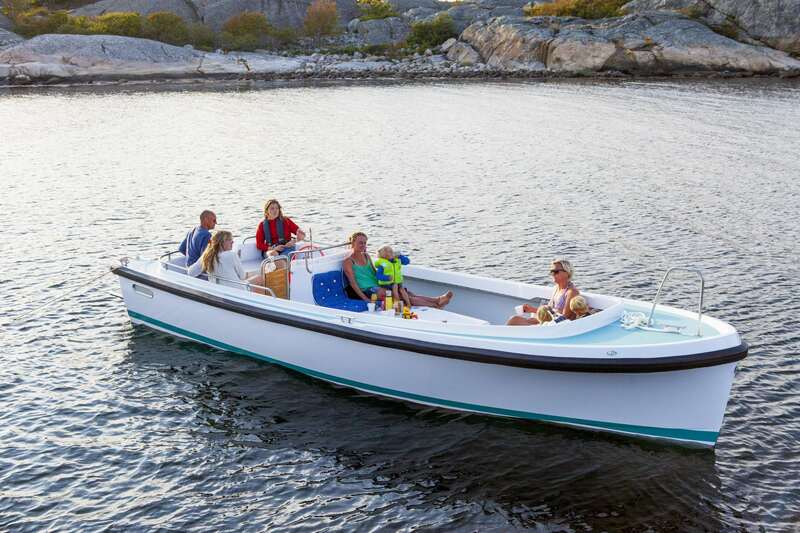 The boats are power-hungry, the ride is noisy, you will disturb and annoy other boaters and people along the shores. In a way, the whole idea is anachronistic, out of tune with environmental and climate awareness. 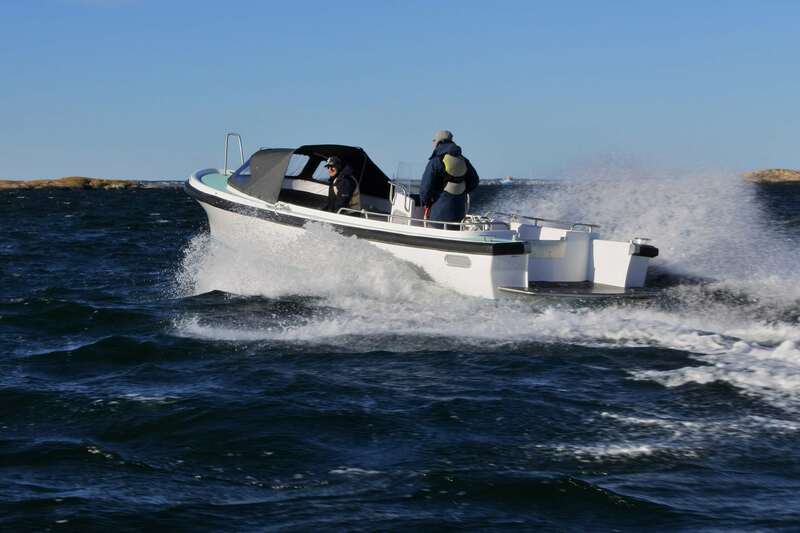 Then again, even if an ordinary powerboat should happen to be excellent at full planing speeds, it will often have a very bumpy, uncomfortable ride at such speeds, slamming hard even in a relatively modest sea state. It can be described as going very fast in a cabriolet on a dirt road. We belive many people would prefer to go in a more civilised fashion. Silently, smoothly, with less consumption maybe. Being careful not to disturb the wildlife. Or, simply, going half as fast. 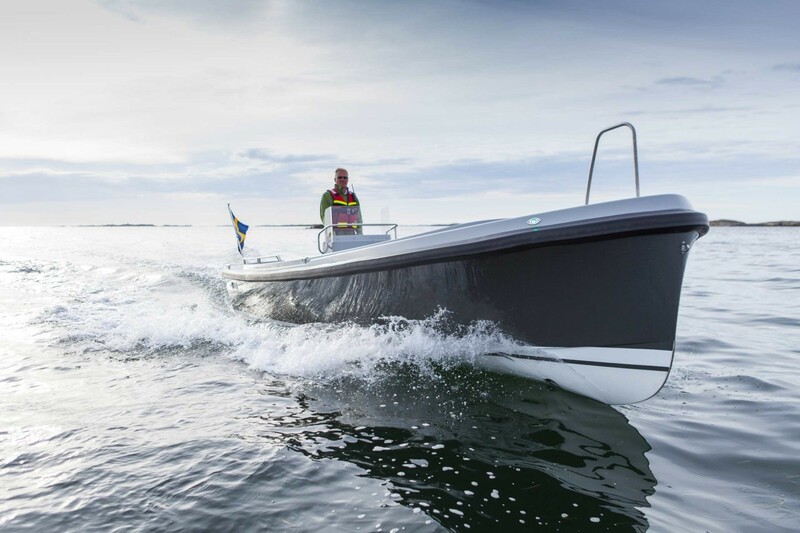 The problem is, there is a limiting factor in the very essence of most existing powerboats. Most of them will be unable to go at other speeds than very slowly or at full planing. 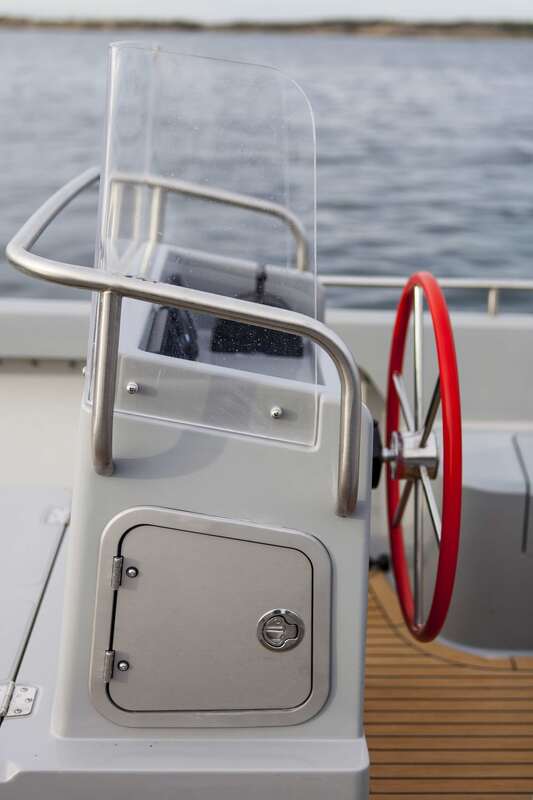 For a boat of similar size as the Nautus 7-50, this usually means up to 6-7 knots is fine. More than 15-20 knots is fine. But at any speed in between, the boat will fight its very nature by rising its bow, pulling a huge wave and consuming lots of fuel. → At slow displacement speeds. This is the wave making of the Nautus increasing its speed from 0 to 4, 8, 10, 12, 15, 18, 22 and 28 knots (motion gif image). So how did the Nautus 7-50 turn out? Not too shabby… she is 100 % the comfortable boat we planned for. 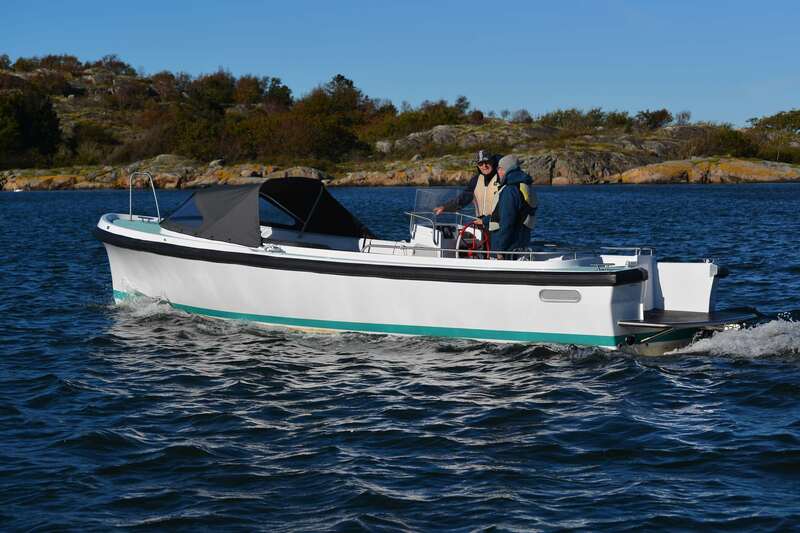 She has a civilised, grown-up behaviour, moves equally well at 7 or 12 knots, or 17, or 25 – just go as fast or slow as you like! Her motion is soft and dignified, even in in choppy sea. She is silent, has a completely smooth ride, with a low fuel consumption. The Nautus 7-50 is easy to use with its open space – she is hugely practical for transporting goods or for a day out with family, pets and luggage. It is easy to move around. Grab rails and handles are placed where you need them. 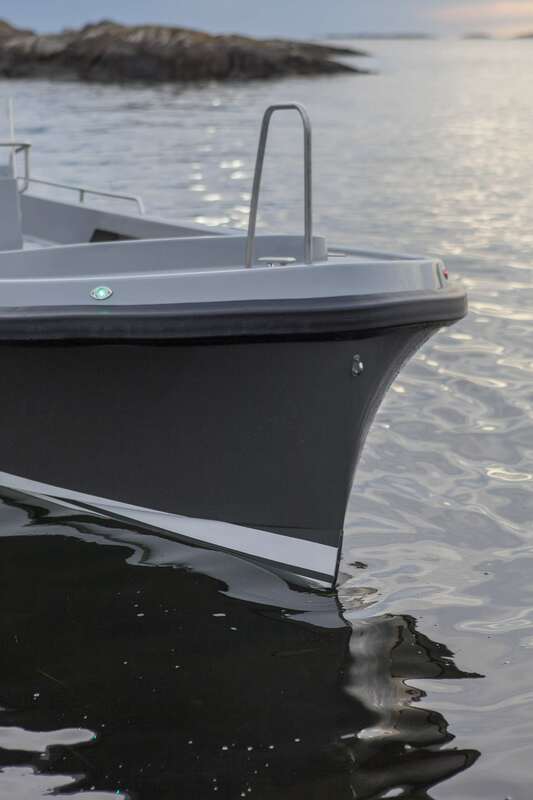 An integrated aft platform makes it easy to get in and out of the water, or handle fishing equipment. With a Yanmar common rail engine and a well insulated engine room there are no vibrations or noise to disturb a conversation onboard. The sofa is a comfortable place for guests. 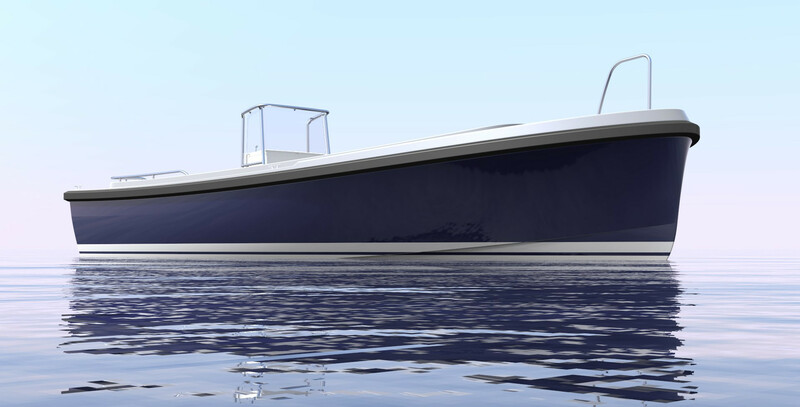 Nautus 7-50 even offers a space for an afternoon nap: In the bow you will find a well sheltered 2 meter long and 145 centimetres wide bed. A lovely space for stretching out, or a protected, snug place for children.